Attention Authors, Writers and Bloggers. 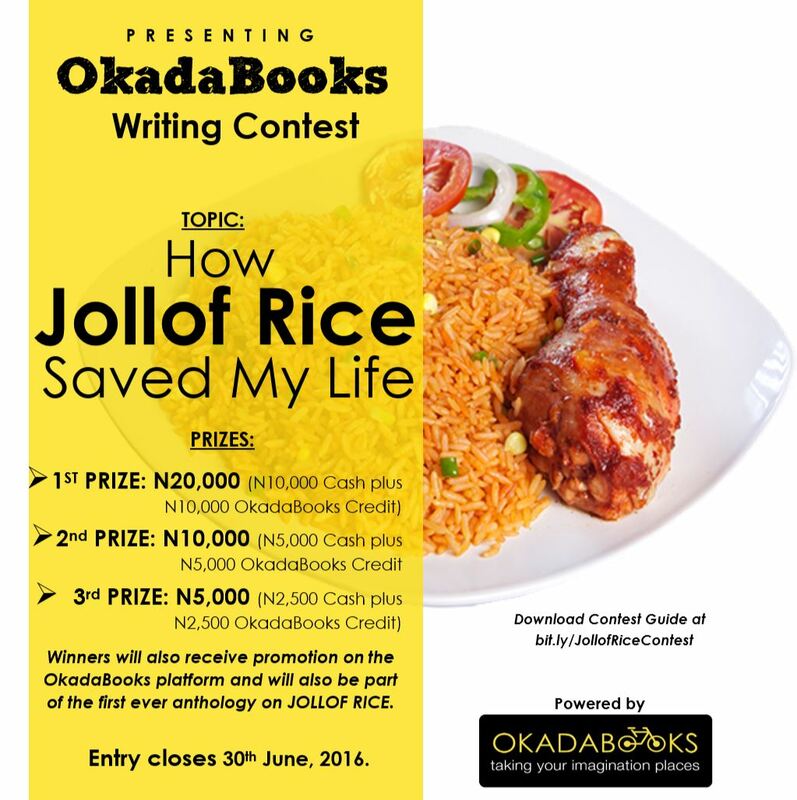 Have you heard about OkadaBooks “Jolloficious” Writing Contest? Sounds Delicious and it really is delicious. Its official!! Please find details below and join in the fun. Second Prize -N10,000 ( N5,000 in Cash plus N5,000 Okadabooks credit). Additionally, winners will be promoted on the OkadaBooks platform and will be part of the first ever anthology on JOLLOF RICE. The Contest runs till June 30. And now that you know, what are you waiting for? Please download the Competition Guide here bit.ly/JollofRiceContest, and be sure to digest it before you begin. And once you’re done with the guide, please visit http://okadabooks.com/publication/ to add and publish your entry.